Recommended For: Readers of all ages, as it will reach out to each reader in different and inspiring ways. Hazel and Jack did nearly everything together, they went together like two peas in a pod and Hazel thought that nothing could ever separate them. Then, Jack changes. After getting something in his eye he begins acting like a different person, he tells Hazel he doesn’t want to play her baby games and completely abandons her and the plans they had together. Hazel can’t understand why Jack is acting this way but everyone around her tells her that it is “normal” and just something that happens when you “grow up”. Soon after Jack’s change, he goes missing. When Hazel asks Jack’s mother where he has gone she explains that he left to help his elderly aunt Bernice. Hazel has never heard of an Aunt Bernice and as his best friend she believes this is information she ought to have known. Another of Jack’s friends finds Hazel and tells her that he saw Jack go into the woods with a tall, thin woman, dressed all in white. Hazel feels that something is terribly wrong with her best friend so she goes into the woods after Jack with a just a compass and her heart to guide her. As Hazel ventures through the forest she comes upon different characters from numerous fables such as the little matchgirl and the Snow Queen. She also meets a woman who can turn into a swan and a couple who collects little girls to keep in their garden. Hazel moves forward through struggles that seem endless and never gives up hope that she will find Jack and bring him home. Finally, after many mishaps, Hazel finds Jack and makes a deal with the Snow Queen to get him back. One of the best parts about this story was the fact that fantasy and reality were so intertwined. When Jack stops talking to Hazel it really is possible that it is due to the fact that he has just outgrown their friendship. I couldn’t help but think of the ending of The Wizard of Oz when Dorothy wakes up to find that her entire adventure was really a dream. That is how beautiful this book was; the lines were so blurred that it could be taken as real or imaginary. Additionally, the venture through the forest really helped Hazel discover who she really was, with or without Jack beside her. She felt alone in her world, as an adopted child living with her single mother and had a hard time fitting in with anyone but Jack. Throughout the story she questions herself constantly and finally, she becomes comfortable in her own skin and happy with who she is. This story was brilliant and all things I had hoped it would be. The allusions to different myths and children’s fantasy provided a colorful backdrop for a notable coming of age tale. 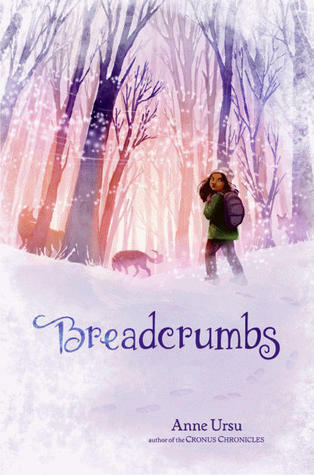 I recommend Breadcrumbs to readers of all ages, as it will reach out to each reader in different and inspiring ways. This story gives A Tale Dark and Grimm a run for its money as my favorite middle grade novel. 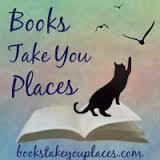 This entry was posted in Middle-Grade, Reviews and tagged fairy tales, fantasy, magic. Bookmark the permalink. Great review! I agree completely. I love that by the end, I wasn't certain that Jack and Hazel could ever go back to the friendship they'd had before, but I did know that Hazel would be okay if they didn't. It had so many fantastic storybook elements without any of them being overly blatant. And of course, as a lifelong Twins fan, I was particularly happy for the role of the Joe Mauer baseball, and for that reason have convinced multiple family members to pick this up.